Nickelodeon Theatre and Indie Grits Labs staffers celebrate some of their favorite films from the Nick’s 2018 lineup. Asking a group of cinephiles who work at an art-house theater and media education organization to pick a favorite movie is no small feat, but we managed it. Here is a wildly incomplete list of the films that moved us in 2018. This remarkable piece of art easily slid into my favorite films of all time. Luca Guadagnino has a beautiful eye. The filmy, hazy vibe captures the romantic, lazy, hot Italian summer so well. The soundtrack is flawless, with mixes by Sufjan Stevens that will have you sobbing. Honestly, Chalamet should have won Best Actor for this role. It’s completely flawless in every way. 10/10, my favorite film of 2018. I’m ashamed to admit that I watched it at the fancy Regal a few weeks before we got the film (I HAD A COUPON! FORGIVE ME!). I went alone and was deathly ill with a cold that had me coughing up my lungs (this is how eager I was). I went during an odd matinee time, and there were maybe ten other people there. I had that cold where your cough doesn’t subside for at least a minute, making you feel on the verge of asphyxiation; I was prepared with lozenges and water and tissues. I made it most of the way through until––yes, the worst possible moment of the entire film––the love scene, which I was eagerly awaiting, naturally. The tickle in my throat started to overwhelm me. “Like, really? Not now,” I thought. There wasn’t enough water in the world to keep me from coughing hysterically at this particular moment. I was embarrassed that I was disturbing others, especially during this particular scene, so I ran out of the theater and then immediately thought, “Oh my goodness, people think that scene made me uncomfortable!” I was so embarrassed. I tucked my tail between my legs and came back just after the scene ended. Even through my shame I was able to appreciate this film in its entirety and saw it several times afterward. I’ve helped program a few screenings this year that fall very much in my wheelhouse of cinematic witchcraft, including The Love Witch, Suspiria, and The Hunger. But since I’ve already written a bit about those, I want to draw attention to a very different kind of magic in The Young Karl Marx. What’s particularly compelling about this film is that director/co-writer Raoul Peck manages to effectively dramatize the work of creating theory, giving a sense of the stakes involved without overindulging in melodrama. It’s not a humanistic study of Marx as a character; it’s the story of the creation of Marxism. As Marx says (in “Theses on Feuerbach” and in the movie): “Philosophers have hitherto only interpreted the world in various ways; the point is to change it.” If magic is “causing Change to occur in conformity with Will,” or making ideas Real, this is some of the biggest magic there is and it has impacted the past two centuries as little else has. Theory, of course, is not the only work of revolution, but it is an indispensable part of it, and The Young Karl Marx provides a glimpse into the cauldron in which it’s born. First Reformed, hands down, was the most interesting, honest, and shocking film I have ever seen. I will never forget the dialogue between the Priest and his former lover: “Do you think what we did was a sin,” to which he replies, “I have seen enough real sin in this world to know the difference.” Wow! I felt that on a spiritual level. I am typically not a fan of the way religion is portrayed in movies since it is usually stereotypical and dramatized. I guess they are movies, but accurate portrayals of real human struggles in regards to spirituality are important for a more universal understanding of everyone. This film was not so much about religion as it was about being human. I believe most people, religious or not, try their very best to be good. I also believe that all of us, most often, fall short of this goodness. Does it mean we are bad? No! It means we are human beings who have the potential to have both a physical and nonphysical experience, at odds or not. My favorite film from last year was Seconds, a John Frankenheimer cult-classic starring Rock Hudson in what would now be deemed as a psychological drama with a science fiction twist. Subverting expectations and challenging boundaries is the major reason why I loved watching Seconds, a psychological drama where Arthur Hamilton (Rock Hudson), an accomplished but elderly man who comes across a chance at a second life after being approached by a secret organization. Although the film’s director, John Frankenheimer, is known for his psychological films due to his famous “paranoia trilogy,” the casting of Rock Hudson, who was quite possibly the most famous actor at the time, was a head turner and great promotion for the film. 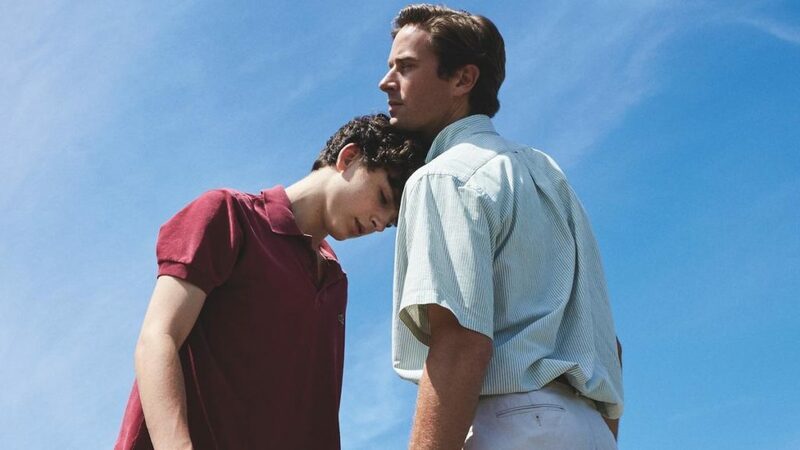 It was surprising and refreshing to see Hudson in a vulnerable role as Arthur struggles with his personal desires and questions his purpose in life. The atmosphere in the film is definitely the main draw for me due to cinematographer James Wong Howe’s phenomenal use of unorthodox camera angles and the black and white aesthetic. Jerry Goldsmith, a masterful film composer, also made the unsettling mood of the film more concrete with an instrumental fusion of Gothic and Classical compositions. The film definitely stands out as a mainstream pioneer for the psychological/sci-fi thriller in a time where the Hollywood romances and comedies of old were dying out. I am not willing to say that Eighth Grade was the best film I saw in 2018 or even my favorite, but I will say that it is a fantastically optimistic film wrapped in an anxiety-ridden, difficult-to-watch 90 minutes. The film stares straight into the eyes of a post-millennial, teen landscape featuring the pressures of Snapchat and Instagram, personal vlogging on the increasingly malevolent Youtube, and of course, the normal, horrible, confusing dynamics of starting high school. It was difficult to watch for a father of twin boys (2 years old), but also strangely positive and joyful. However, if the twins were a few years older and approaching middle school, I may have stayed away. Wild-haired Moll (our protagonist) sits alone on a plush cream couch, covered in dirt, her legs spread, luxuriating in blissful exhaustion after a woodland tryst. Perhaps it was this depiction of raw, female satisfaction that sealed the deal for me, or maybe it was just the cherry on top of this psychological rollercoaster, exploring the twisting boundaries of love, sociopathy, and our deeper animal impulses. Finally seeing this documentary after years of speculation was such a worthwhile moment of 2018 for me. M.I.A, through her never-before-seen, personal documentary footage, recounts her backstory as a Sri Lankan immigrant coming to London at a very young age, her journey to stardom as an international recording artist, and her personal conflict of balancing her roles as an activist and a musician on an international stage. Seeing the behind-the-scenes creative process of the making of her first two studio albums, Arular and Kala, will leave you feeling inspired and wanting to create art with a purpose. Each performance in this film is award-worthy, but the most amazing accomplishment is the way the three leads (Olivia Colman, Rachel Weiss, Emma Stone) interact with each other. In the rare scene without one of our leading ladies, the men tortuously discuss the women; how can they manipulate them? Subdue them? Convince, blackmail, or bribe them? Most of the men’s attempts fail miserably and the women get back to the deliciously nasty business of trying to steal power from one another. I will never have my fill of female villains and The Favourite gave me three. Watch this film immediately but be warned: each woman is worth despising and loving—the joy lies in letting those feelings compete.